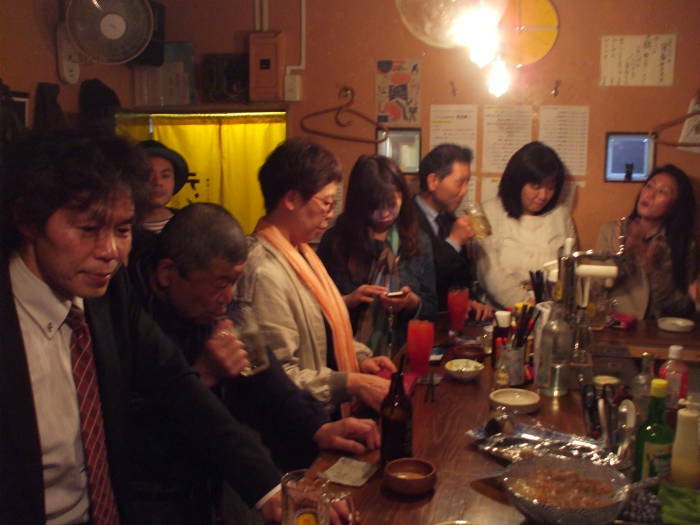 A tachinomiya is a stand-up bar in Japan. There may be a few seats, but most patrons will stand. A tachinomiya is usually small. Here are two in Kamakura. The first one is バーラム or Ba-ra-mu. So it's Bar Ram and not Ram Bar. Start north from the train station on the pedestrian street Komachi Ōji. Go a short distance north and then turn to the right onto a smaller street. Then turn left onto an even smaller street, more of an alley. 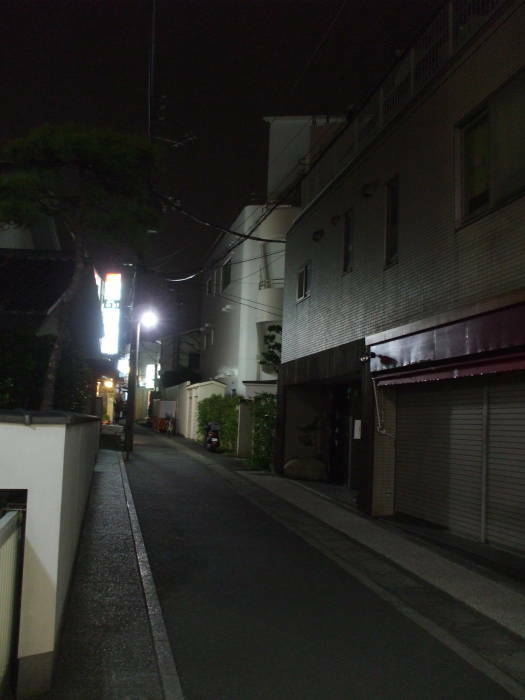 And then turn right into a passageway that seems to have been a space between two buildings that eventually was roofed over. That's where we are in the below picture. Bar Ram is through the first door on the right, behind the yellow wall. 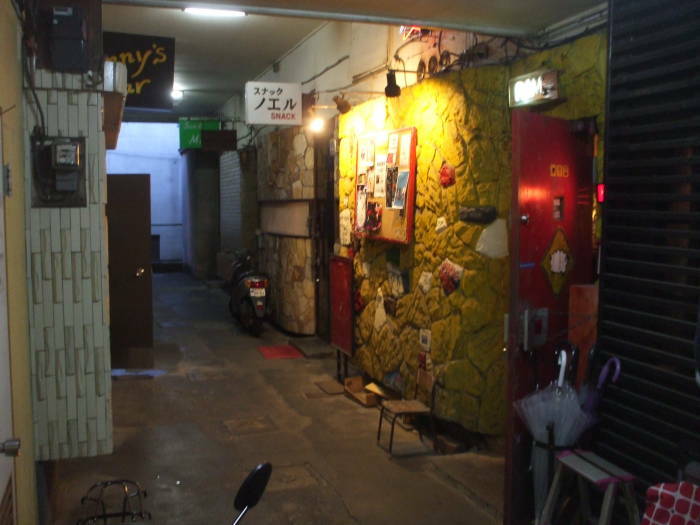 Other tachinomiya are in this passageway — スナック ノエル or Su-na-tsu-ku No-e-ru "Snack" further down on the right, and Johnny's Bar on the left. Inside, Bar Ram is maybe 3 meters by 3 meters. There's a hole under the counter at the far end where the staff crawls through. It has a Classic Rock motif. Vinyl LPs provide the soundtrack. They have drinks and very light snacks. Despite the small size, Bar Ram shows up in both Rough Guide and Google Maps. 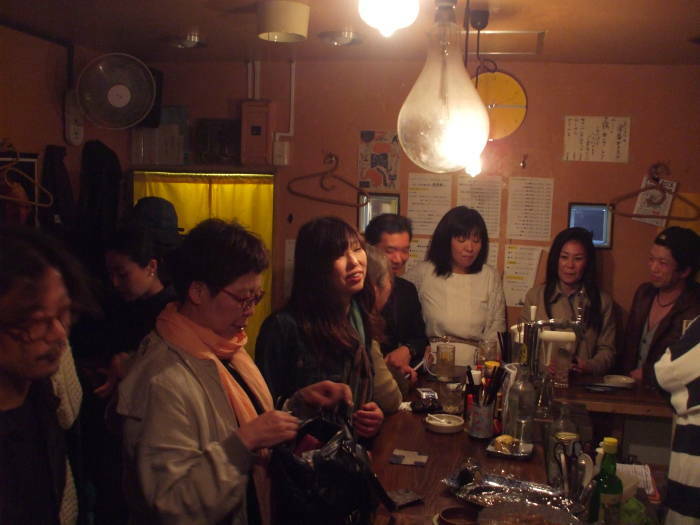 The second time I was there, one of the other patrons asked where I was from, where I had been in Japan, and where all I was going next. Then he asked if I had been to a tachinomiya yet. 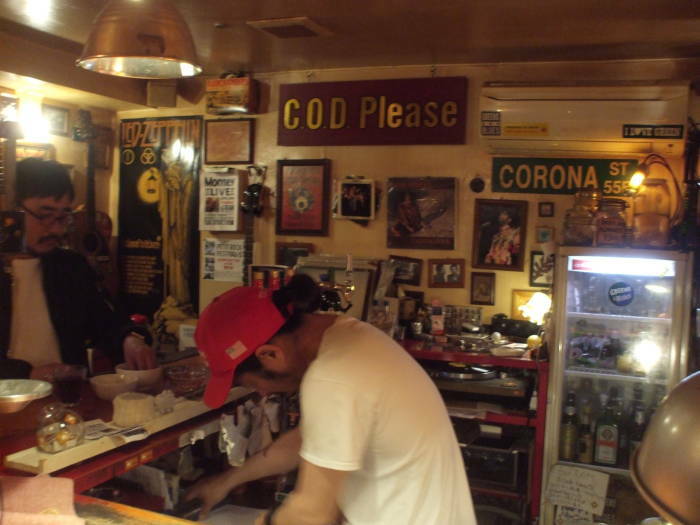 I didn't recognize the term, and he said it was a stand-up bar. Ah. I've heard of those, and I suppose this is one. Oh, but a real one. Well, I suppose maybe not. Get your things, we're going to Tensuke! We went north up the alley through the middle of the block. About three buildings further up, we came to an exterior staircase. 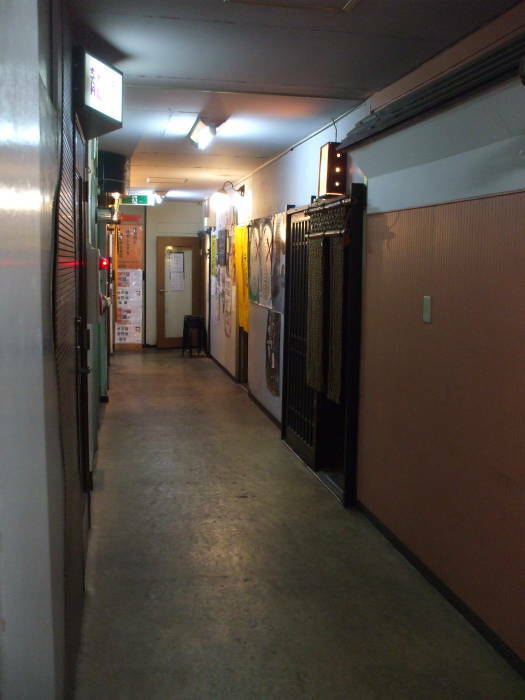 That led to a hallway where former apartments now house three stand-up bars. 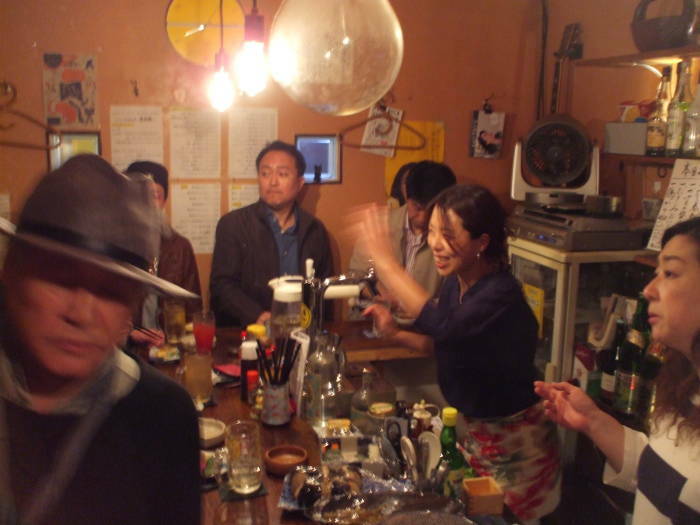 One was Tensuke, テンスケ, tensukehanekodearu@gmail.com, +81-(0)70-2178-0088. 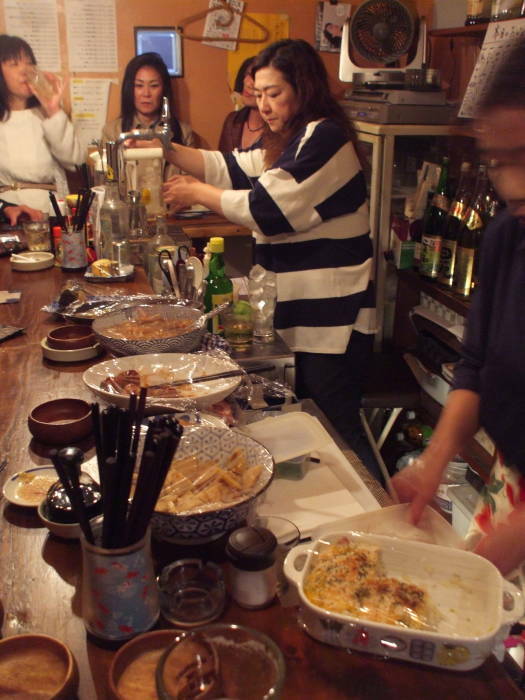 This "proper tachinomiya" had food. Dishes with plastic film wrap held various dishes. Meatballs, pickles, steamed vegetables, gyoza, and several other choices. A small microwave oven allowed them to heat whatever needed reheating. 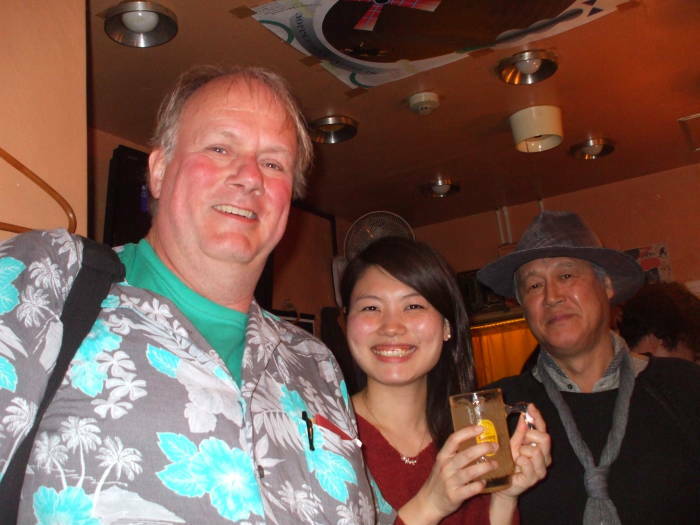 That's me (on the left), my tachinomiya shaman (at right), and Midori who was going to Vancouver to study English (at center). I was the only person from out of town, so I met several people. One was a professor of French literature, so at least there was one person with whom I could communicate reasonably easily. 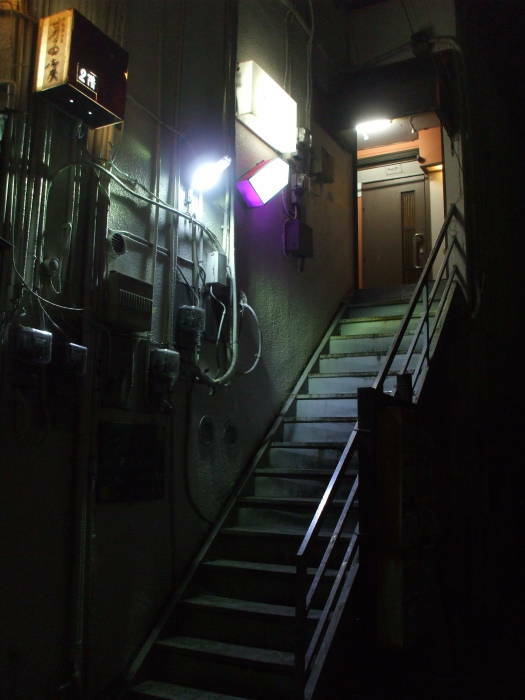 He was in his mid-90s, and had come up the metal staircase to the tachinomiya at 10 PM on a Tuesday the same as he did every other evening of the week. The resident Star Wars enthusiast, at far left in the picture above, was pointing out who various people were and introducing me around. 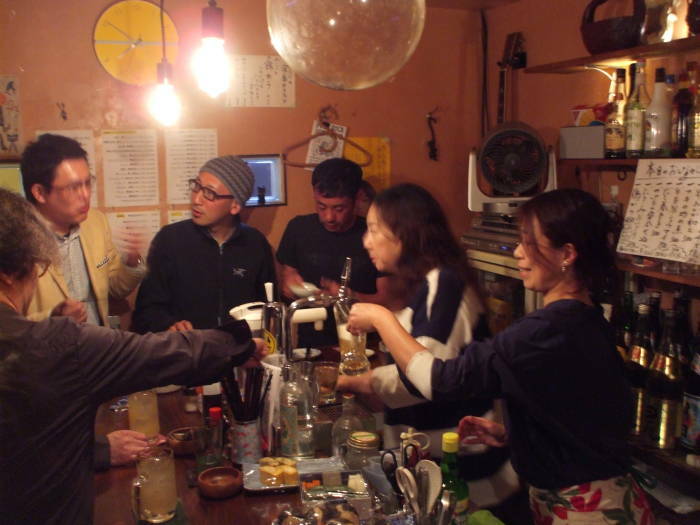 Something was said about the second guy in the picture below, how he looked a little like Toshiro Mifune, who was in several Akira Kurosawa films, but this guy actually was just a local ethanol enthusiast. This was when I learned that George Lucas originally offered the role of Obi-wan Kenobi to Toshiro Mifune. How cool would that have been? Very. 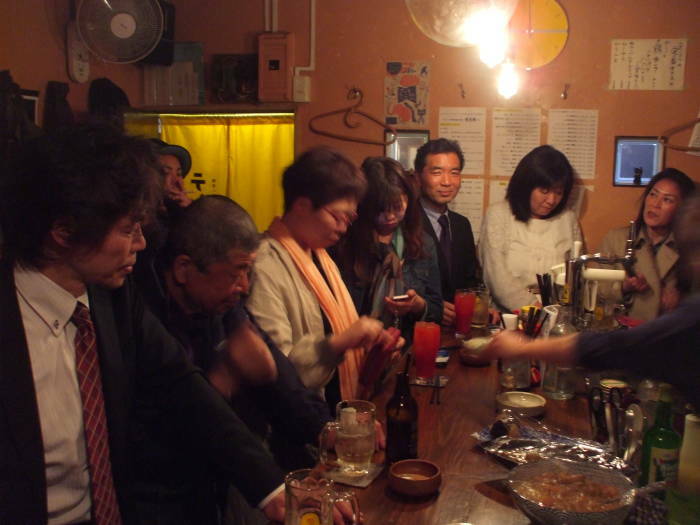 So, if someone says "Let's go to a tachinomiya", go.